Campaigner Doreen Lawrence is interviewed by Kirsty Young. Kirsty Young's castaway is the campaigner Doreen Lawrence. The life she thought was hers ended when her son Stephen was murdered by a group of young white men on a street in London in 1993. In the years since, her campaigning has resulted in a shift in public attitudes, laws being changed and policing methods overhauled. She set up a charity in her son's memory and has been awarded an OBE for services to community relations. She says: "My son was special and I think, what happened to him, I just wanted everyone to know and learn about him - but all the other things, the OBE, I'd swap all of that just to have my son back. When your children are young you take them for granted, because you think they're going to be there forever." Who I Am: Beverley Knight. Garth Hewitt 30: 30 Songs Spanning 30 years 1973 - 2003. Clapton Chronicles: The Best Of Eric Clapton. 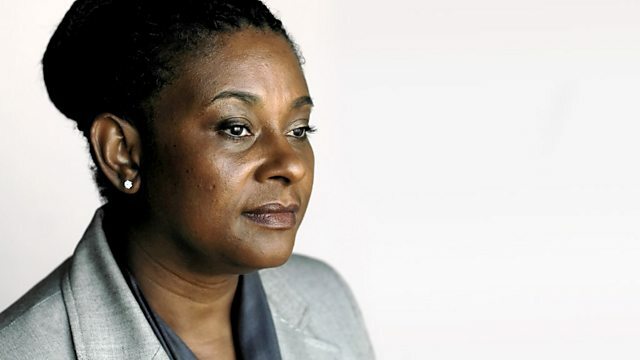 A selection of programmes and clips featuring Doreen Lawrence, anti-rascism campaigner.